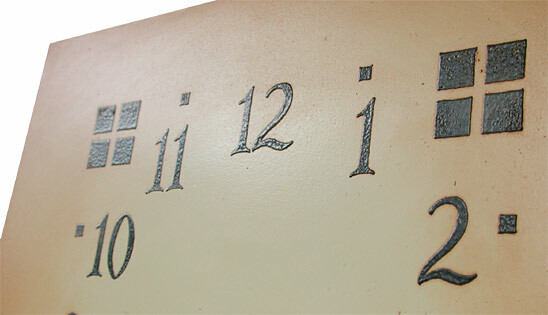 The quintessential craftsman clock. 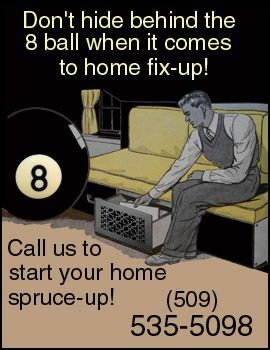 A very safe choice. 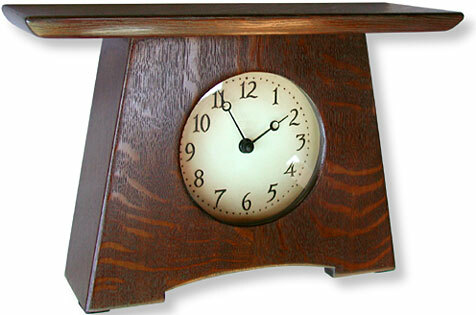 Mission style clocks are one of the epitomes of the arts and crafts era as it pertains to home decor. Although the era wasn't that long the artisans did produce many an oak wall clock. A handmade wall clock creates it's own aura. There were also Mission clocks that were available as Grandfather floor clocks, and lets not forget the ever popular mission wall clocks. Imagine how striking your living room would look if you had one of our wonderful mission clocks gracing its presence. 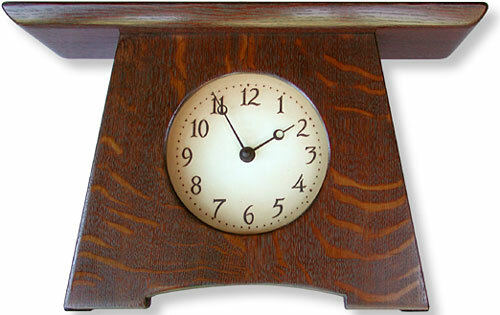 The Arroyo Seco is a fine example of one of a craftsman clock. 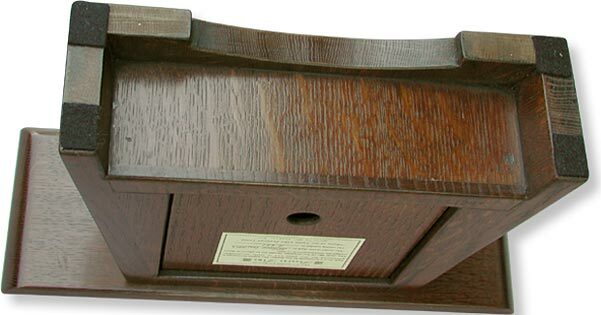 The quality craftsmanship of our time pieces such as an oak mantel clock is unsurpassed. Remember when you used to go to grandma and granpa's house when you were a little child? The furnishing of the home was something that was made very well and would be around for a long time to come. It wasn't the disposable world that has evolved in so many things today. 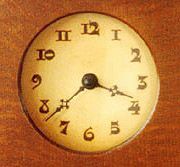 A craftsman wall clock, or piece of furniture or an appliance was built to last and last. 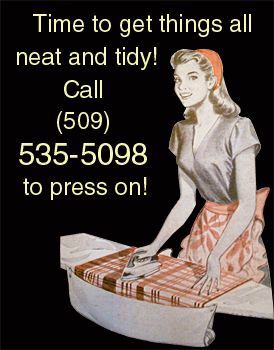 That is just the way that things were done. No questions asked, it just wasn't any other way. Well our clock collections are on the same level of quality. Constructed to be around for a long time to come. 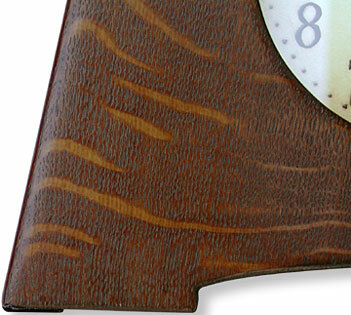 Some of the clocks have a hand fumed finish, just like in days gone by. And the faces of some of these fine pieces lend the clocks to look like it just stepped out of an old Craftsman magazine from the early 1900's. An arts and crafts clock with a solid copper etched faces showcases a rich patina that is warm and inviting. A copper clock is truly unique. 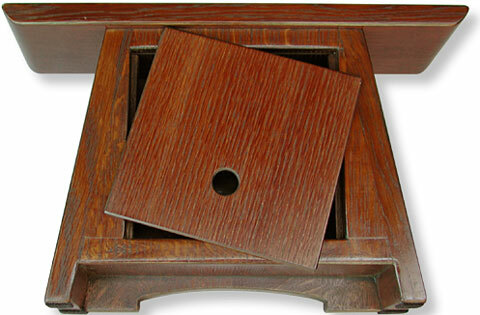 When you and your friends and family observe that it is encased in beautiful quartersawn oak clock case, jaws will be dropping. The beautiful ebony plugs are just an added delight! Often customers inquire about whether we offer clocks with wind up mechanical mechanisms. We used to offer them around 1996, in fact we custom made the cases. However, mechanical movements are a little touchy and for some reason it annoyed people to have them run a little fast or run a little slow. I'm not sure why that would bother anyone. The appearance and the mechanical sounds are where the value is, in my view. If I want to know the accurate time I'll look in the bottom right corner of my computer screen. That is probably why I have been moving away from music CDs and back to vinyl records. Join me! Whether decorating a Craftsman Bungalow, Mission Hacienda, American Four Square or other old charming home, a mission clock can be the focal point of any room. Along with the attractive fireplace and mantle, a striking, no pun intended, arts and crafts wall clock is just the thing to bring all eyes upon the room. Imagine the clock in all it's glory along side a piece of beautiful vintage pottery. Now that is a sight to behold. The timeless classic beauty of a mission clock is sure to become a treasured heirloom for your family to enjoy for years to come. The nostalgia that a clock can bring to a room is unsurpassed. Along side a classic piece of artwork, imagine a Maxfield Parrish print, a wall clock in the mission or arts and crafts style is sure to set the tone for an entire room. If you are looking for a Schlabaugh and sons clock, we have a large selection with integrated art tiles by Motawi tile. So be sure and peruse through our rather large collection of clocks and see if you can pick one, or more of our clocks, that accentuates all your other home furnishings or is a real stand out all by itself, in its entire glory. Whatever the case, no pun intended, a clock, especially a mantle clock, is a treasure to behold.